These were the words spoken at the beginning of 2011 by the President of the Constitutional Court of the Republic of Slovenia, Dr Ernest Petrič, at the launch of the Constitutional Court Annual Report for 2010. On 23 December 1991, the Assembly of the Republic of Slovenia adopted the Constitution of the Republic of Slovenia, its first constitution as an independent and democratic state. As the country's primary legal document, the Constitution stipulates the foundations of state authority and the position of individuals in the Republic of Slovenia. It guarantees a democratic political system with a parliamentary form of state authority, a state governed by the rule of law, and a social state based on respect for human dignity. Some of the more important constitutional principles are the sovereignty of the people, the separation of powers, the right to self-determination, the protection of human rights and the special rights of the Italian and Hungarian national minorities, the separation of the state and religious communities, and the guarantee of local self-government. Furthermore, the Constitution also regulates the protection of human rights, the organisation of the state, economic and social relations, public finance, constitutionality and legality, and the procedure for amending the Constitution. Each year, the Constitutional Court celebrates Constitutionality Day on 23 December to commemorate the day when the Constitution of the Republic of Slovenia was adopted and declared. This year, the Constitution celebrates its twentieth anniversary. 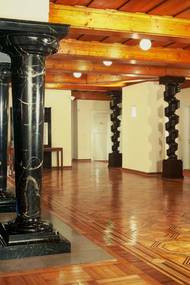 The Constitutional Court, however, was not established in 1991. Its history dates back to the time of the former Socialist Federal Republic of Yugoslavia, in which it has functioned as the constitutional court of the Socialist Republic of Slovenia since 1963. Yet it was the very Constitution of the Republic of Slovenia that has strengthened its powers and position. Slovenia's accession to the Council of Europe in 1993, the ratification of the Convention for the Protection of Human Rights and Fundamental Freedoms that followed, and the accession to the European Union in 2004 all affirmed Slovenia's commitment to comply with modern European legal principles and to guarantee the protection of human dignity. Since the establishment of the Constitutional Court, its work has been marked by efforts to establish the rule of law and to ensure that all authorities comply with the constitutional order. The Constitution acquires its significance through the decisions of the Constitutional Court and has a direct influence on the actions of the holders of legislative, executive and judicial powers, directing them towards the protection of fundamental legal values and the values of civilisation, and constraining them when they exceed the limits of what is constitutionally allowed. This consolidation of the rule of law strengthens citizens' trust in the institutions of the Republic of Slovenia and that the legal system is just and modern, which is of paramount importance for further economic, scientific, social and cultural development. What is the position of the Slovenian Constitutional Court? 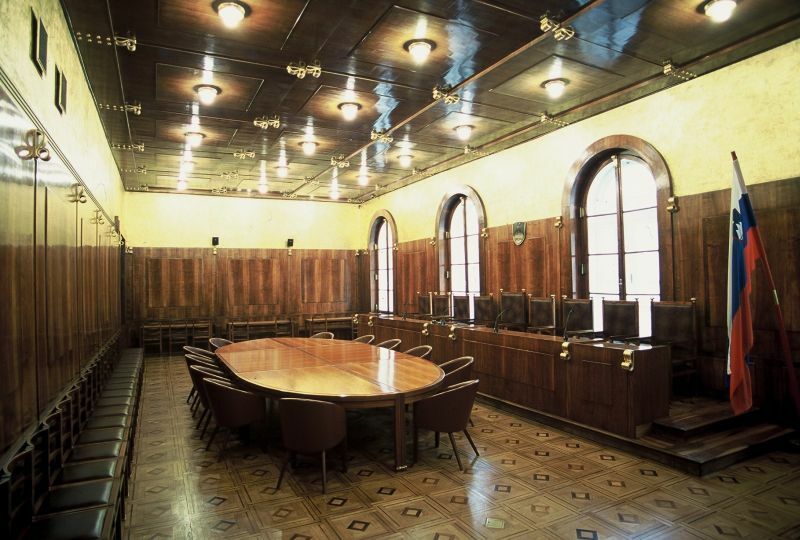 In order to be able to perform its duties, the Constitutional Court must have an appropriate position within the organisation of state authority. What is the position of the Slovenian Constitutional Court? It is to some degree determined by the Constitution, which lays down its composition and all its most important powers, underlining its particular importance by including the provisions on the Constitutional Court in a separate, eighth chapter rather than the chapter on the organisation of the state. This in itself reflects the fact that the court is independent of all other state authorities in its work. The Constitutional Court Act, on the other hand, is more specific and detailed; Article 1 of the Act stipulates that the court is the highest judicial body for the protection of constitutionality, legality, human rights, and fundamental freedoms, and highlights its position as an independent and autonomous state authority. The Constitutional Court is the guardian of the Constitution and, on the basis of its powers and responsibilities, interprets constitutional provisions. In so doing, it defines the limits of what is acceptable conduct for the holders of power, and protects individuals from the arbitrariness of authorities, and from violations of their constitutional rights resulting from the conduct of state authorities, local self-government authorities and other bearers of public authority. Considering the above, the decisions of the Constitutional Court must be binding as this is the only way the court can perform its duties. Due to its importance, this principle is also highlighted in Article 1 of the Constitutional Court Act. The parties to whom the court's decisions are addressed (for decisions with inter partes efficacy), or everyone, including the legislator (for decisions with erga omnes efficacy) have an obligation and responsibility to comply with them. It is also important that regular courts respect the positions of the Constitutional Court in their case-law as this is the only way to ensure the primary role of constitutional principles, human rights and fundamental freedoms. The level of compliance with the decisions of the Constitutional Court reflects how well-developed and sound a society's culture is, or, in other words, the Constitutional Court, of course, cannot have the first or only say in interpreting the Constitution, but it should have the final word. The decisions of the Constitutional Court contribute to a uniform application of the law, the highest possible level of legal certainty, and the protection of human rights and fundamental freedoms. With its decisions, the Constitutional Court has defined in more detail the concept of the rule of law and a social state, and the principle of equality, helped lay the foundations of our local self-government and established standards for assessing the restriction of the freedom of expression, the right to ownership, and the rights of persons in criminal proceedings. By consistently and decisively advancing the most important constitutional principles, the Constitutional Court will go down in Slovenian legal culture as one of the key factors determining the development and implementation of the rule of law. each of whom is elected on the proposal of the President of the Republic by the National Assembly for a nine-year term. The judges are elected from among legal experts, and an additional condition for election is a minimum age of 40 years. By imposing this limit, the country seeks to attract experienced lawyers to join its rank of judges. They must, of course, also demonstrate a broadness of spirit and personal integrity to assist them when adjudicating on important legal and ethnically sensitive issues. The President of the Constitutional Court is elected by the judges from among themselves for a three-year term. The first President of the Constitutional Court was Dr Peter Jambrek (25 April 1991–24 April 1994). The current President of the Constitutional Court is Dr Ernest Petrič, who took office in November 2010. The Constitutional Court has a broad range of powers, most of which are expressly stated in the Constitution, which, however, allows for additional powers to be determined by law. The fundamental powers of the Constitutional Court are related to the protection of constitutionality and to taking action if any branch of authority – legislative, executive or judicial – exercises its powers in contravention of the Constitution. 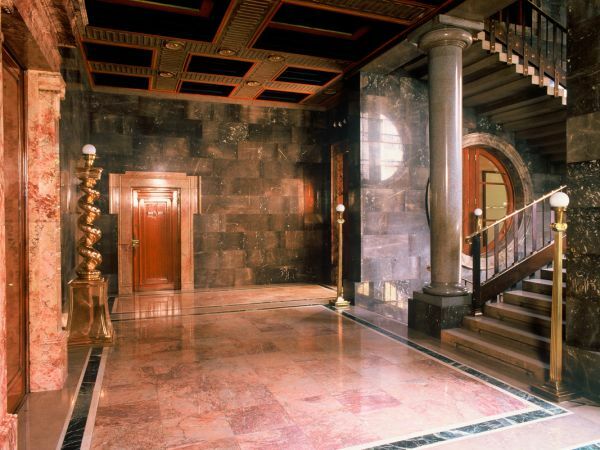 The Constitutional Court therefore decides on the conformity of laws and other regulations with the Constitution, ratified treaties and the general principles of international law. The Constitutional Court decides on the conformity of a treaty with the Constitution during its ratification process. Under certain conditions, it also reviews the conformity of implementing regulations with the Constitution and laws. The Constitutional Court also decides on jurisdictional disputes (e.g. between the highest state authorities), the impeachment of the President of the Republic, the Prime Minister, and other ministers, the unconstitutionality of the documents and activities of political parties, the constitutionality of a request to call a referendum, disputes concerning the confirmation of deputies' terms of office and other similar disputes, the aim of which is to protect the constitutional arrangement with regard to the mutual relations between the various holders of power within the democratic system. One of the more important powers of the Constitutional Court is also deciding on constitutional complaints arising from violations of the human rights or fundamental freedoms of natural or legal persons because of acts committed by holders of power. This is a legal remedy primarily intended for violations of human rights or fundamental freedoms and cannot be used solely to act on the misapplication of substantive or procedural law or incorrectly established facts in court proceedings. 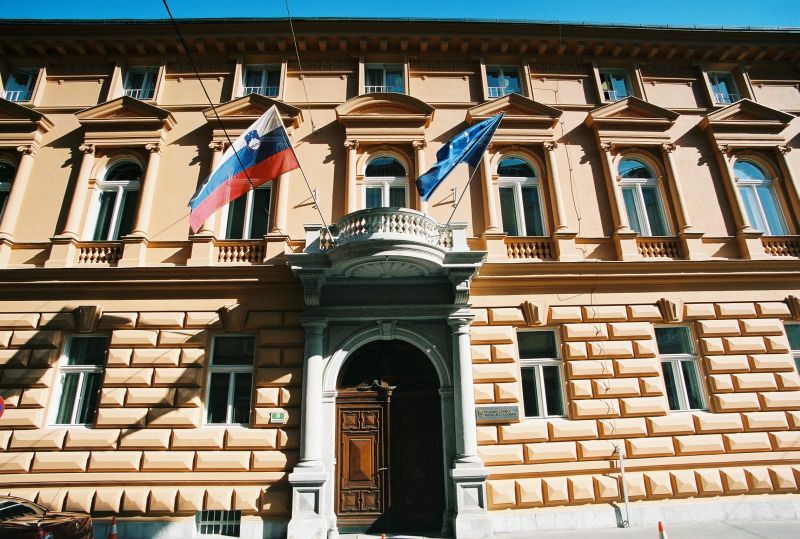 A constitutional complaint may, as a rule, be lodged only against a court decision after all the legal remedies in the Republic of Slovenia (regular and extraordinary) provided to the party by law have been exhausted. A constitutional complaint may exceptionally be lodged before all the extraordinary legal remedies have been exhausted if two conditions are met: 1) the alleged violation is manifestly obvious; and 2) irreparable consequences for the complainant would result from the implementation of the individual act. Many of the applications lodged with the Constitutional Court demonstrate that the court, as the guardian of the Constitution and constitutional human rights and fundamental freedoms, is an important institution, which, in its twenty years of work, has earned the trust and respect of citizens and others seeking legal protection. In the twenty years since the adoption of the Constitution, the Constitutional Court has adjudicated on over 19 700 constitutional complaints and over 6 300 constitutional requirements and initiatives. Among other things, it reviewed certain international legal documents that were crucial to Slovenia. The Europe Agreement establishing an association between the European Communities and the Republic of Slovenia, the Agreement between the Republic of Slovenia and the Holy See on legal issues (better known as the Vatican Agreement), and the Arbitration Agreement between the Government of the Republic of Slovenia and the Government of the Republic of Croatia should be highlighted in this regard. Requests to review the constitutionality of requests to call a referendum are also an important indicator of trust in the Constitutional Court at both the local and national levels. In this context, the Constitutional Court has established, for example, that the content of the request to call a preliminary legislative referendum on the proposed law regulating the status of 'the erased' may give rise to unconstitutional consequences. The court came to similar conclusions on the content of the request to call a local referendum on the ordinance regulating the spatial planning of the Municipality of Ljubljana since the decision that would be taken in the case in question could encroach on the right of the Islamic community to construct a religious building where it is generally acceptable and customary to profess Islamic beliefs and perform religious ceremonies. On the other hand, the court has established that the referendum on the proposed law on pension and disability insurance will not result in unconstitutional consequences. To mark the twentieth anniversary of the Constitution – one of the most important milestones in Slovenia's history, the Constitutional Court, in cooperation with the Faculty of Law of the University of Ljubljana, held an international conference on 21 and 22 December 2011. The event brought together many domestic and foreign experts in constitutional law, including the authors of the Constitution, who discussed modern Slovenian constitutionalism from the perspective of the original conceptual, legal and theoretical application of the Constitution, and its interpretation. This year, the Constitutional Court celebrated Constitutionality Day in a ceremonial but working atmosphere, providing an overview of the most important views on this subject in theory and practice and outlining unresolved issues and the challenges that lie ahead. On 13 December 2011 an exhibition and a presentation of joint projects of the National Assembly and the Constitutional Court on the occasion of the 20th anniversary of the Constitution of the Republic of Slovenia took place in the foyer of the National Assembly building. 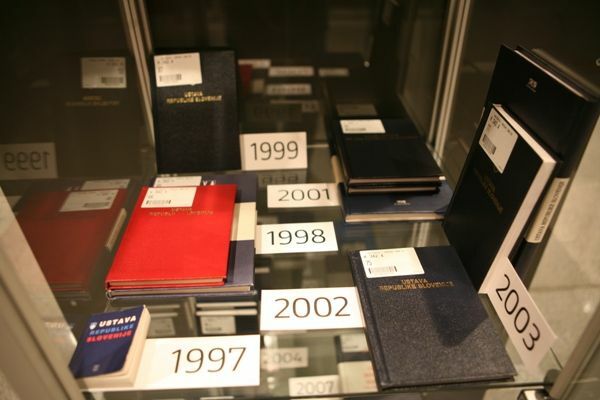 Also on display are special editions of the Constitution: the edition in Braille, the edition for the visually impaired, and an audio edition produced in collaboration with RTV Slovenia. From 13 December, the audio and sign language versions of the Constitution and a selection of illustrated articles will be posted at the website of the Constitutional Court (www.us-rs.si) and the National Assembly (www.dz-rs.si).